Disastrous Atlas Rig is evidence of a marine park needed off WA's coast. Thousands of litres of oil, gas and condensate has been leaking into the sea from the West Atlas rig since August 21 from a wellhead near PTTEP Australasia's West Atlas oil rig, 250km from shore. The spill measured 70 by 20 nautical miles, with sheen visible in 25 per cent of that area, Resources Minister Martin Ferguson said. It has been reported that the slick — measuring about 30 meters wide and 15 kilometers long — is about 250 kilometers northwest of the Kimberley coast. 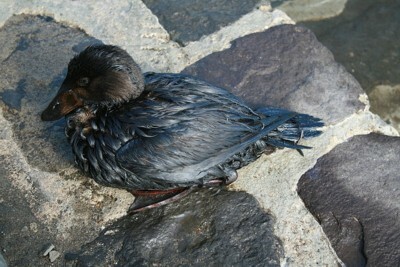 An estimated 400 barrels of oil a day is leaking from the well head platform, according to the company. Despite comments from Federal Resources and Energy Minister Martin Ferguson and WA Premier Barnett playing down the impact of this spill it is clear that a disaster of this scale will have serious and ongoing impacts on a range of marine life. A relief well being drilled 2.6km under the sea to plug thousands of tonnes of oil leaking from a rig off the West Australian coast has passed the halfway mark, the company responsible for the disaster saying yesterday that it had now drilled 1.6km without incident. But PTTEP Australasia, which owns the stricken West Atlas rig, extended the deadline for completing the complex repairs, admitting it would take at least another three weeks. The region where this spill is occurring is a ‘marine superhighway’ for a range of species including over 19 species of Whales and Dolphins, including the Humpback Whale. Sea Snakes, many bird species, fish and other wildlife will also be impacted. Dr Gilly Llewellyn, WWF Australia's conservation director, says the affected area is home to many rare species. The federal Environment, Water, Heritage and the Arts Department, Peter Garrett, confirmed some wildlife had been affected, although the full extent of the damage remains unclear. The Northern Territory Environment Centre says proof the oil slick is killing birds gives more weight to calls for new protected marine areas in the region. The Opposition's environment spokesman, Greg Hunt, says it should pay for an independent organisation, such as Charles Darwin University or James Cook University, to carry out a survey of marine life. The Australian Government says so far no whales or other marine mammals have been harmed by a large oil spill off the country's west coast despite the fact that fishermen are bringing in animals that have died as the result of the spill! However, nine seabirds, four now dead, have been caught up in the slick, according to staff of the Environment Department working on Ashmore Reef. There have been no checks so far around the rig on any effects of the oil on turtles, whales or sea snakes known to frequent the area. A private environmental consultant's report commissioned by the WWF has found 15 species of whales and dolphins, 30 seabird species and five turtle species could be affected by the oil slick. The report finds the spill could end up harming 30,000 sea snakes, which fisherman have already reported finding dead in the ocean nearby, and 16,000 turtles. The diverse and ecologically crucial coral reef habitat of Ashmore Reef is also threatened should the spill reach this area 150km from the leaking rig. The Kimberley region is home to one of the most significant coral reef provinces in the world. There is no good reason to put the Kimberley environment at further risk – certainly not economic. Mr Garrett is preparing to release areas in the resource-rich ocean north-west of Australia to become potential marine conservation zones. In the 1970’s Australia said ‘No’ to oil and gas mining in the Great Barrier Reef (GBR) and went on to implement what was then the world’s largest marine park. The GBR now contributes well over $5 billion in sustainable income annually to the Australian economy and supports thousands of jobs. The Marine Conservation Society's Prue Barnard says it is part of the Government's commitment to create a network of marine parks by 2012. She says the recent oil rig leak off the Kimberley coast underlines the need for sanctuaries. “The region where this spill is occurring is a ‘marine superhighway’ for a range of species including over 19 species of Whales and Dolphins, including the Humpback Whale”, TWS said in an open letter to federal environment minister Peter Garrett on August 28. From June to November each year, humpback whales make their way home to calving grounds just north of Broome, where they stay for four months with their calves. 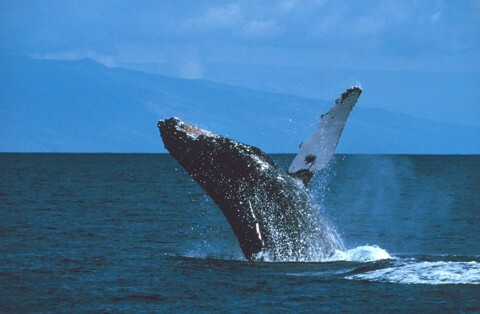 The Kimberley coast is crucial habitat for the humpback whale, a protected species in Australia. We wouldn’t plan a freeway through a maternity hospital and expect it to continue? The Kimberley region of northern WA is one of the world’s great natural and Indigenous cultural regions. Its vast savannah landscapes, wild rivers, extensive wetlands, spectacular coast and rich marine environments provide a multitude of habitats that are home to an extraordinary diversity of species. The Wilderness Society is calling on the Federal Government to declare a moratorium on further approvals and expansion of the oil and gas industry in the region. -Immediately place a moratorium on oil and gas development on the Kimberley coast until government planning processes are complete. - to protect the globally significant marine biodiversity in this region, including Humpback whales in the vicinity of James Price Point. The West Australian government is moving to protect the largest whale nursery in the southern hemisphere. The Environment Minister Donna Faragher says the government is creating a marine park at Camden Sound, off the Kimberley coast. “The Government recognises the Kimberley as one of Australia’s special places. That is why we are protecting Camden Sound, making it a marine park, and developing and implementing our Kimberley Science and Conservation Strategy,” the Premier Colin Barnett said. This is truly encouraging good news! They don't expect much opposition! Is this enough? Maybe the whole EEZ around Australia should be a marine park! HIgher profile if it impacted on Australia's fishing industry! The disaster has now entered its ninth week after the failure at the weekend to plug the spill, which has seen oil spew into the Timor Sea at an estimated rate of up to 400 barrels a day. The operator of the well that has leaked tens of millions of litres of oil and will try again to stop the spill this week. While the damage caused to wildlife in Australian waters is reportedly "small", Indonesian fisherman are saying the spill has killed thousands of fish. Amhad Junaidi, the editor of an Indonesian publication with reporters in West Timor, says dead fish are turning up in large numbers. This disaster would have a bigger impact in Australia's media if our fishing industry was suffering! The oceans are becoming sewers in the quest for economic benefits, power and jobs!